Justin’s new perfume – THE KEY. Note: #theKey isn’t out in the store yet. Every $1 of Justin Bieber Collector’s Edition Perfume Goes to Charity! Justin Bieber ‘Collector’s Edition’ Frangrance Available at Target! Elizabeth Arden: Justin Bieber & Taylor Swift Perfumes Flop, Sales Drop! WOW I TOLD MY DAD JUST NOW ABOUT IT .WELL I LIKE THE NEW STYLE U’RE LOOKING SO HANDSOME LOVE U JUSTIN BIEBER !! i want it, i want it, i want it!!! Jb u r d bbbessssttttest & will remain so forever! That perfume must b containing fragrance that my jb likes & so i want it! I’m going crazzyy! OMB! 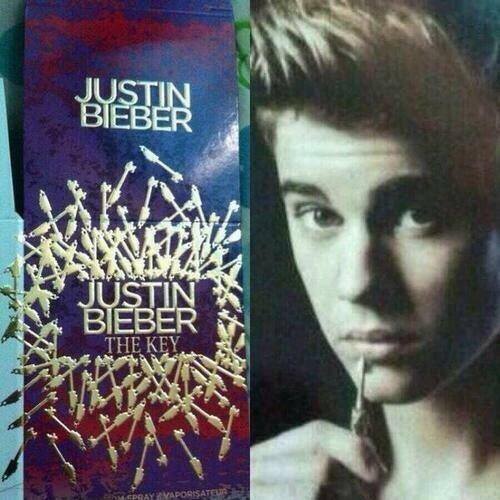 Yo quiero este perfume *-*/ , i love u SO Much Justin!! OMG !!!! WHEN IS THIS GONNA COME OUT I NEEED TO KNOW!!!! How much is this perfume nd where to get it from?? I wounder how the perfume looks like and I wanna get that key perfume. It’s funny how he don’t comes out with men perfume only girls perfume.I loved Justin and he a cutie. that is awesome cant wait i want to marry jb i got his perfume. i whant to meet him i beet my cusen up for him plese viset me. he is the king of my heart. by the way that was brianna webster but soon it will be brianna beiber. Love you Justin, you are amazing and I must have this new The Key fragrance….Macy’s I am so there I will buy it in a hot minute. BELIEBER Forever!!!! Our idol Keeps getting Bigger! Love You forever Justin ❤❤❤❤❤❤❤❤❤ !! OMB !!!! I soooooooooooooooooooo Need This Super duper Badly!